I’ve always heard good things about Tom Ford Private Blend Fragrances but with so many available scents in the line up, I wasn’t sure where to start. Thankfully the decision was made easy with the recent launch of the Neroli Portofino Bath and Body Collection, an addition to the existing Fragrance line and as a result , I was able to get my hands on a sample body cream and a bar soap from the collection. The inspiration for Neroli Portofino is drawn from the Mediterranean landscape the Italian beach side Riviera with its old-world glamour and tradition. Adorn in deep aqua packaging and the transformation of the fragrance bottle from its apothecary brown glass bottle to a translucent turquoise one could only mean it’s getting serious with representing the Mediterranean warm waters. Now when I hear Neroli, I instantly think of warm citrusy scents that sits comfortably in the fruit family scent. Not so with Neroli Portofino – it is more a floral fresh infused with tangy and vibrant citrus oils and warm amber undertones – truly a unique and individual scent that I’ve ever come across. It takes me to back to heady summer evenings where one can easily be intoxicated by the crisp yet bitter scent of neroli citrus, before being softly wrapped with sweet orange blossoms and lingering musky amber. Amazingly long-lasting, the body cream gave many hours of subtle fragrance that had me drifting to warm Italian seas whilst the bar soap gently perfumed skin whilst lathering up for a creamy silky wash. Enriched with Olive fruit oil, grape seed oil, jojoba oil and date seed extract in both products, it leaves skin soothed richly hydrated and product. Honestly, it couldn’t possibly be any more luxurious when you layer the products together. 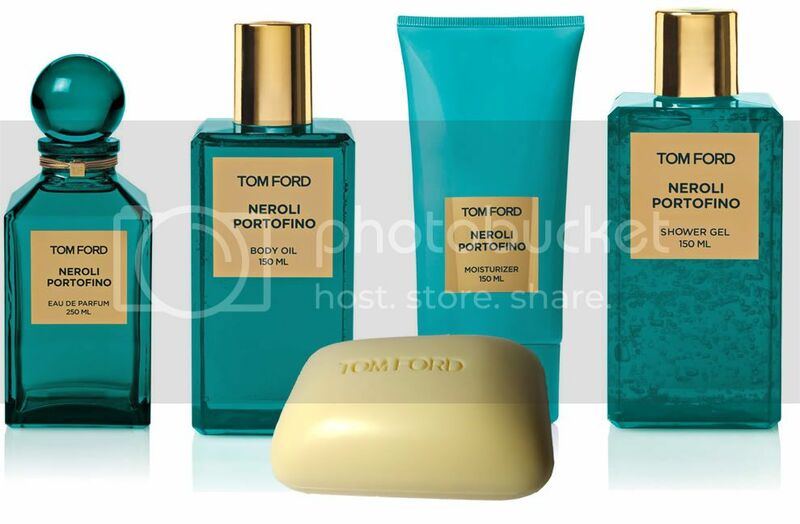 I’m not surprised Tom Ford delivered yet again with the Neroli Portifino bath and Body collection. Tom Ford is not something you make a blind purchase on so I urge you to head down to David Jones to sample and acquaint yourself with the scent but be warned, go prepared to part with some serious cash because you will be walking home with a Neroli Portofino product. Tom Ford is available exclusively at David Jones.